Why do we chronicle our lives? Is it because we have accomplished so much that we want people to know just how good our lives have been? Or is it because we are vain and we just can’t resist a little bit of boasting? Or is it because deep down we know we have a good story to tell that other people would learn some from? Probably a little bit of everything of those. And that’s what this book is about and more. 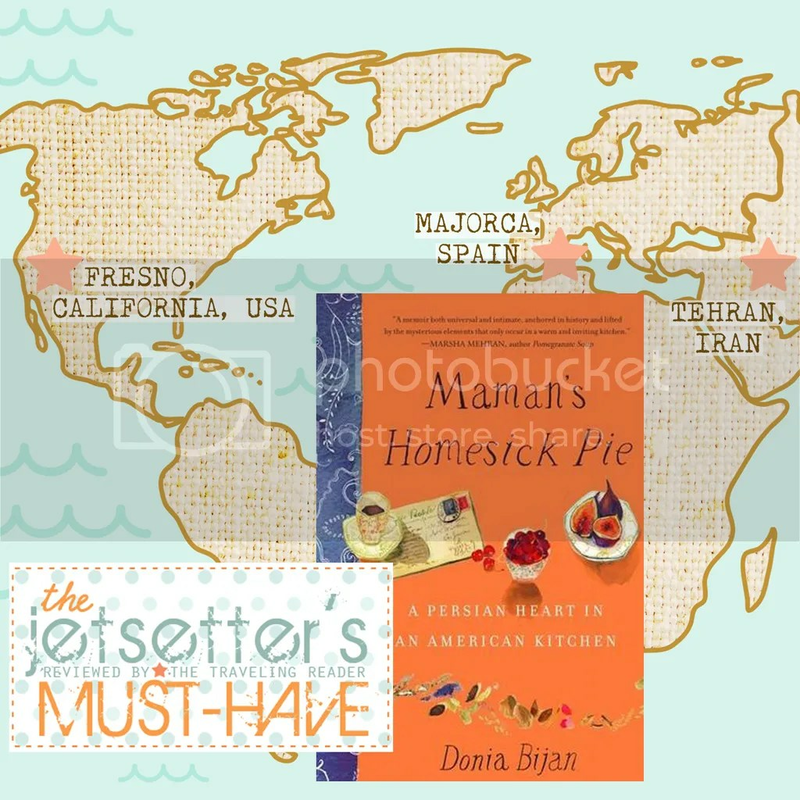 Connecting anecdotes and snippets of the Bijans’ lives through food and recipes learned at her mother’s kitchen and recipe books, author Donia Bijan has crafted a memoir suffused with happiness, contentment and a yearning for an easier time in the past. These tales are nothing short of mesmerizing as they paint in your mind a tableau worthy of a five-course meal in a five-star restaurant. My favorite scenes were of the author’s younger self picking sour cherries from the trees they have grown at the back of the hospital that their family has built and their travel to Majorca where their explorations of the local cuisine has induced some hunger pangs in me. Oh, to have the means to take off for some time just to soak in a new culture and what they have to offer on the table and not be bothered to hurry from one tourist spot to another but I digress. More than just a foodie book (and a really good one at that based on the salivating I was making while trying to finish it), the accounts told of her parents’ sacrifice and exodus and eventual stay in America were what made this book solid for me. While I did enjoy all the food discussions, I sometimes found myself losing focus because I couldn’t relate to the author’s experience. There was just a slight tinge of “haughtiness” appearing here and there, probably because the narratives are told in a light and breezy manner despite the seriousness of some of the topics, though that didn’t distract me much as all the food things reeled me back in. I couldn’t help but feel that with stories like this, some of the events that happened tended to be romanticized rather than viewed and reported through the hard lenses of reality. This is not a perfect tome but since I wasn’t looking for one, this was still totally enjoyable to me. I’m reviewing this book as part of the Foodies Read 2017 Challenge. Sign-ups for January still available until 1/31 — http://www.spiritblog.net/january-2017-foodies-read/! This entry was posted in book-ology, review and tagged book review, FoodiesRead2017, reading, reading challenge by The Traveling Reader. Bookmark the permalink. That sounds like a very interesting book. I hadn’t heard of it before. Thanks for linking up to Foodies Read.